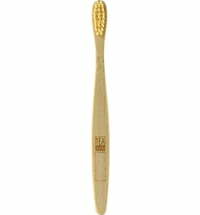 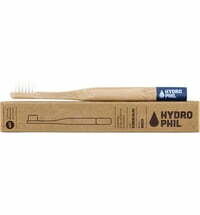 The toothbrush has a biodegradable bamboo handle and ultra-soft, nylon 6 bristles. 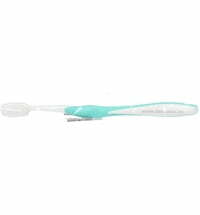 It is just as gentle on the teeth as the standard DENTTAB toothbrushes and is perfect for use in conjunction with the DENTTAB tablets. Tip: To prevent bacteria formulation and extending the shelf life of your bamboo toothbrush it is advised to heat the brush at 60°C+ every so often as long as it has no traces of breakage. 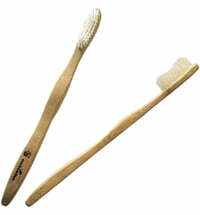 Dispose of the toothbrush by snapping off the brush head and discarding it in the residual waste. 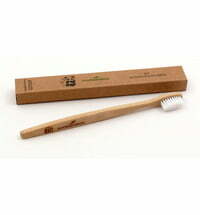 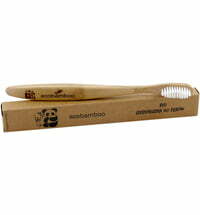 The fully biodegradable bamboo handle is compostable.